This summer I attended the Whale and Star Summer Program in Miami, Florida. The workshop took place in the studio of artist Enrique Martinez Celaya. Art historian Daniel A. Siedell and artist /critic Gean Moreno joined Martinez Celaya in an intensive, week-long critique of work and various supplementary activities. Students ranged across many levels of training and experience. The generosity in welcoming the group of students into his workspace speaks to Martinez Celaya’s desire to involve his practice in activities outside the strict confines of the art world. From 1994 until 2003 he taught at Claremont College in Pamona, California, and by acting as a mentor for less established artists he extends the activity of teaching to the non-academic setting of his studio. The real gift, however, was in the honesty and insight of the critiques. My experience of grad school had moments of this, but they were rare and generally took place outside the formal framework of graduate critiques. Partly this was due to the absolute absence of real discourse about painting amongst the faculty, aside from my advisor and a few others. Another aspect of my MFA program was a focus on the “institution of art” as a general framework through which to talk about all work, whether it engaged in these questions or not. In contrast, while the critiques at Whale and Star were at times quite brutal in their honesty, they never felt like they were mean-spirited or aimed at defeating the artist. 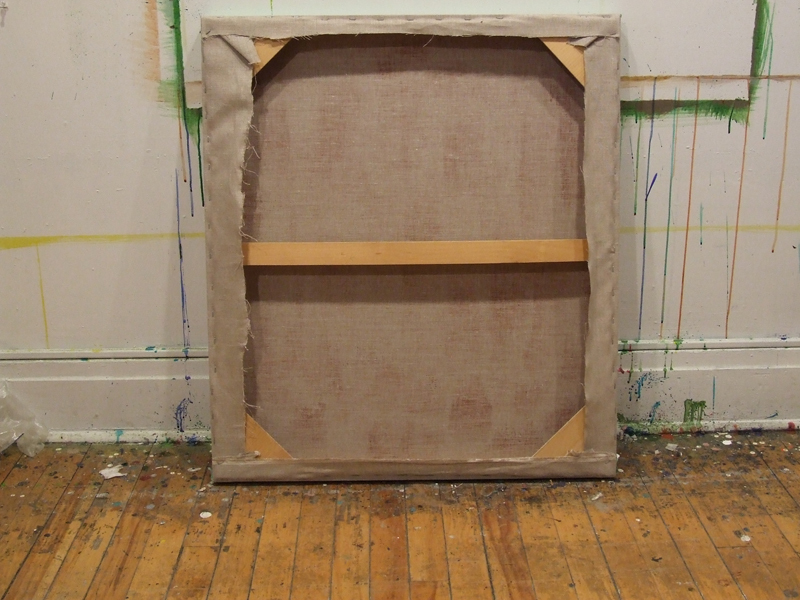 One of the things that came out of my own crit was the sense that my work seemed to be hiding something – an ambivalence about painting itself. Reflecting on this experience has posed several questions for me: What are my criteria? What do I value in my own work and in the work of others? What can be excised? What am I hiding from? My criteria involve an interest in what things look like, but also in what they suggest in terms of emotional resonance and honesty to the world. I want from my own and others’ work an emotional, intellectual and sensuous experience. This desire is often considered romantic, if not naive. It is also conservative in relation to “radical” practice because it demands an introspective or contemplative encounter with art works and an allowance for the possibility that these qualities might be present. I have been trained to exhibit a certain type of “rigour”in my work. This includes eschewal of pleasure, sentiment, authorial marks, “the hand”, claims to direct experience, technical and material facility and onwards. This is essentially the legacy of conceptual art as it has played out in many Canadian art institutions. Although my work over the past ten years has resisted this training on certain levels, the ambivalence remains. So, I am hiding from the fear of looking naive or unintelligent or sentimental or self-indulgent. My ambivalence stems, I think, from a fear of the work being mistaken for something unintended, something “not contemporary”. Enrique said to me in my crit “there is no way to not be contemporary. In the art world many strategies are punished for not being current or sprinkled with the exciting drumbeat of the moment. Love is suffocated in the desire to make ‘art'”. Fear of exclusion is powerful for artists. In my own case I think that certain kinds of choices have been made which are reactions to that fear, even if only on an unconscious level. How will I get grants, exhibitions, jobs etc. if the work looks too old fashioned? If it doesn’t have an airtight theoretical justification? If it is just big dumb painting? I have counters to these anxieties, but fears are insidious, often disguising themselves as emotional or mental toughness. However, these disguises are only the outward appearance of strength. In fact they may just be markers for points of weakness. Yet, he said, it is often our mightiest projects that most obviously betray the degree of our insecurity. The construction of fortifications, for instance … clearly show how we feel obliged to keep surrounding ourselves with defenses, built in successive phases as a precaution against any incursion by enemy powers, until the idea of concentric rings making their way steadily outward comes up against its natural limits … The frequent result, said Austerlitz, of resorting to measures of fortification marked in general by a tendency towards paranoid elaboration was that you drew attention to your weakest point, practically begging your enemy to attack it … (p.14, 16). Dismantling the ramparts around my fears is a slow process, the tools more often like nail files than wrecking balls. With persistence and the aid of erosion, maybe even these inadequate implements will be able to scratch some small breaches into the edifice. 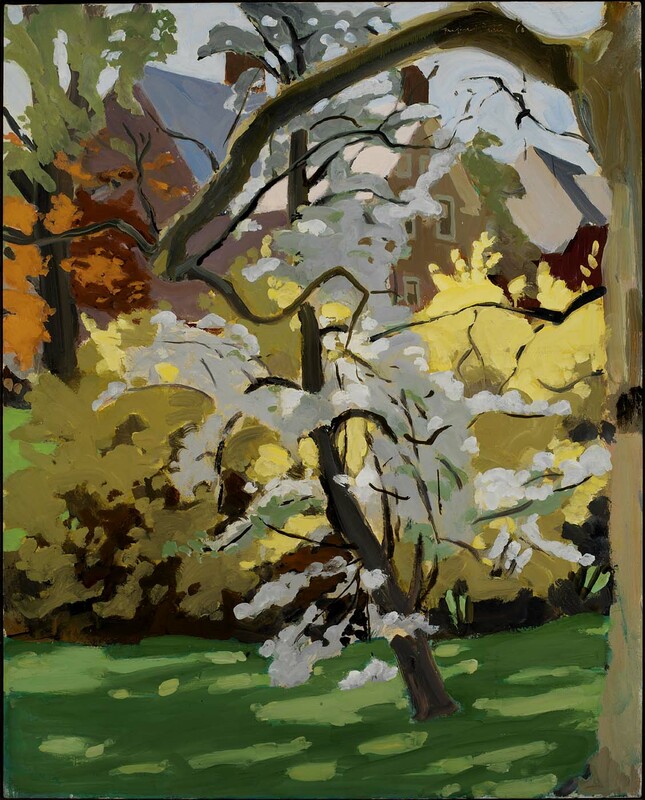 I have recently been reading Art in its Own Terms: selected criticism 1936 – 1975, by Fairfield Porter. It is refreshing to read criticism which derives from a practitioner’s perspective. The bulk of the book takes the form of reviews and short essays written for various periodicals and is edited and introduced by painter, Rackstraw Downes. Your article on Picasso by Wyndham Lewis was very bad. I think that like many literary people you have an indirect understanding of the visual arts, and that since Lewis is both a painter and a writer you thought he must be an art critic. His opposition to Greenberg is distinct from postmodern critique. It doesn’t seek to replace the work that Greenberg champions with a more theoretically correct version. Instead it seeks to give the work at hand a closer and more sensitive hearing, trying to determine what it proposes about the world rather than how it might fit into a conceptual schema. There is no attempt to generalize into an idealized theory of history, just attentiveness to his own experience. A useful and timely model for artists and critics alike. This has been on my mind lately. What is the relation of an “idea” which starts a painting and the painting itself? The question has come up for me in terms of my own work, the work of students, and the work of other artists. It has also come up for me in terms of how art is talked about in institutions such as galleries and art schools as well as journalism. The question itself is not a painting question, for, as Elkins says, in painting the idea must be remade in terms of paint – paintings speak for themselves, or at least I think they should. Instead it is a question of discourse, of our talk about the objects and practices of painting. There seems to be a certain amount of expectation or pressure to theorize, insert “concepts”, or otherwise make paintings into the objects of intellectual analysis. Grant applications, artist talks, statements, critiques all demand some form of verbal context for the work. In many cases, the talk about the work is far more interesting than the work itself. This pressure seems to be exerted by an assumption that linguistic explanation is required to validate works of art. The increasing number of explanatory texts in galleries and artists who seem to specialize in discourse may be symptoms of this assumption. 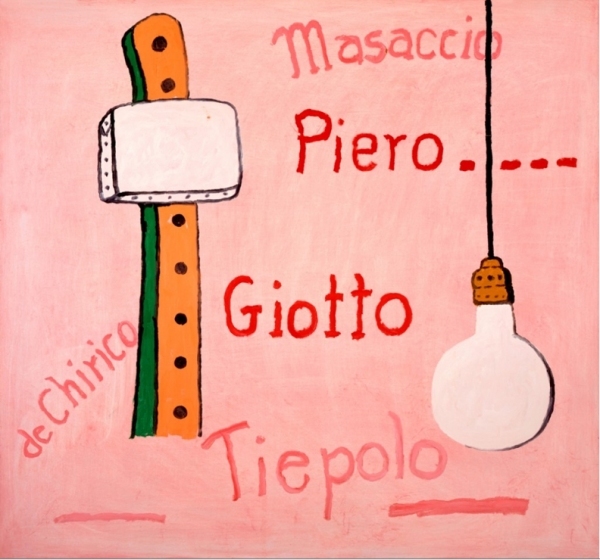 On the other hand, Philip Guston’s rejoinder that painters who don’t have anything to say about their work are a kind of “painting monkey” also resonates. My bookshelf full of artist’s writings has taught me that artists are very often the most insightful commentators on their own and others’ work. Reading, thinking and analysis (that is, intellectual or conceptual activities) are all large parts of my own painting practice, and I also occasionally write about the work of other artists. This is to say that I am not anti-intellectual, nor do I think that art should abstain from intellectual questions. It is only to say that the experience I seek in making or looking at art is not exhausted by intellectual engagement. What I’m after is nourishment, and this is a notoriously difficult thing to articulate in language; the difference between reading a recipe and cooking and eating a fantastic dinner. I think our talk about art work could benefit from critical scrutiny. Habits of talking over work instead of experiencing it are not more rigorous, just easier. This especially applies to my own work and discourse. Some painters whose work and practices are the foundation for my understanding of painting. When all the other painters finally leave my studio, these will probably be the last to exit. Why Paint? If the authority of representation has been ceded to more technologically advanced methods which are also more easily distributed and “democratic”, then what is left to do with painting? Why not leave it in peace and move on? It’s hard enough to paint without these doubts about the relevance of the activity. I think that, at a basic level, my motivation to paint is intimately related to my choice to be an artist, instead of an art historian or musician or logger or other career that may have been more viable. That choice involved a sudden, imposed understanding that life is both finite and mysterious, and that what we do with it matters. This moment of clarity was fleeting and my decision to pursue studio work in a serious way came from the sense, unformed and largely uninformed, that somehow, this mystery might be probed by making pictures. For me, making pictures has always been a primary way of trying to understand the world. The activities of making and trying to understand, as they are embodied in the practice of painting, feel like the most natural and direct way of asking the kinds of questions that are important to me. These questions are fundamentally rooted in my own experience. Painting has the capacity to function as a kind of hinge or threshold between the objective and the subjective. Paintings are objects in the world, that are produced through the labour of individual agents. They are often made in relation to external or objective stimuli or “subject matter”, but they are always mediated in some way through the body of the painter. This means that paintings are an amalgam of experience and internal responses to experience. Additionally, paintings are made with materials (paint or otherwise) that resist manipulation and therefore have agency of their own. 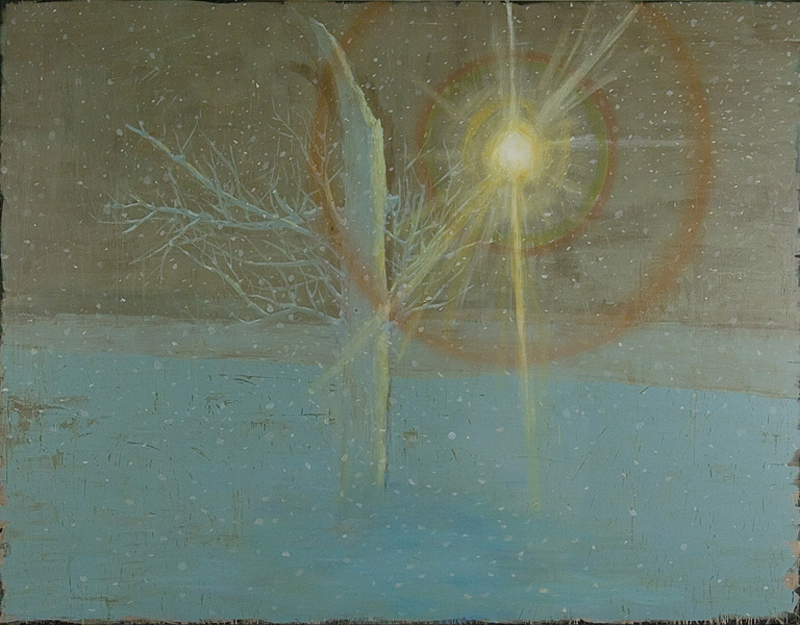 Successful paintings involve an open collaboration with the properties of the materials used. 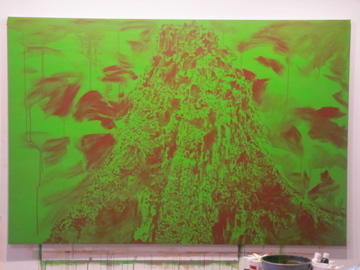 The work of forming a painting involves not only technique, composition and other formal considerations, but also the tacit knowledge of the body, muscle memory, habit. (This short video of Leon Golub painting provides a good example; see the whole documentary here). Finally, there is the question of love: “There is a wonderful liquid complexity of thoughts that accompany painting, but they are all in, and of, paint. (That is not to say an artist might not think about anything, from Wall Street to Jung; but what is engrossing about painting is the act itself, and everything else is a distraction, or a way of not thinking too directly about the unnerving importance of the very next brushstroke.) The love of the studio is an unreflective, visceral love” (James Elkins, What Painting Is, p. 74).